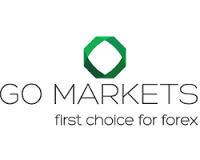 GO Markets is Australia's original MT4 Broker, offerring the popular MT4 platform since 2006. With our MT4 Demo, Standard and PRO accounts, you get access to a variety of Global markets including Forex, Indices, Commodities, and Binary Options, all from the one account. To put your GO Markets trading account under our IB group you need to send an email to support@gomarkets.com.au. Find below the sample of the email. Please place my account no. : ............... (put your account number with GO Markets) under IB 21101 (Financial Trading Art SRL). *The Rebates are calculated for one round turn lot (100,000 units) for Currencies, (100 oz) for Gold, (5,000 oz) for Silver, (100 bar) for Oil, and (one contract) for Equity Index CFDs.